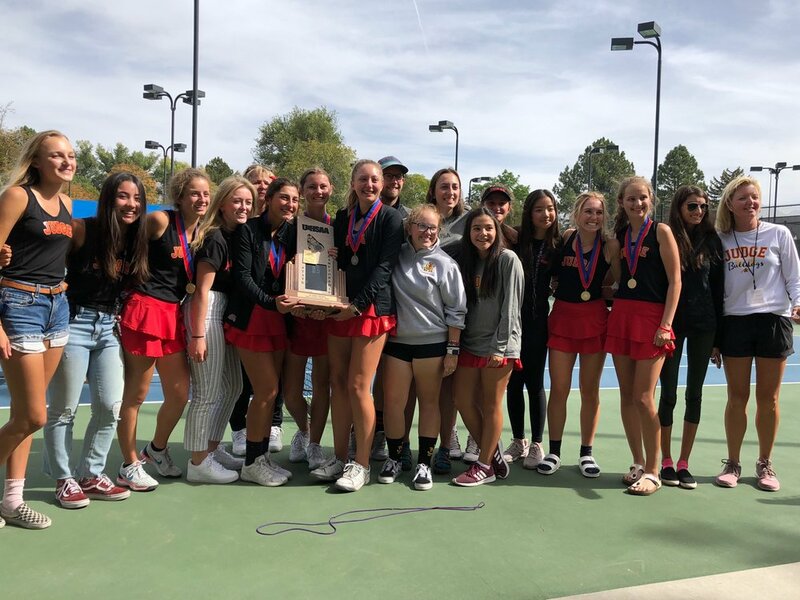 Girls tennis has won their second consecutive 3A State Championship title after a very strong season. Tennis had a lot to live up to after winning last year, but they definitely delivered. 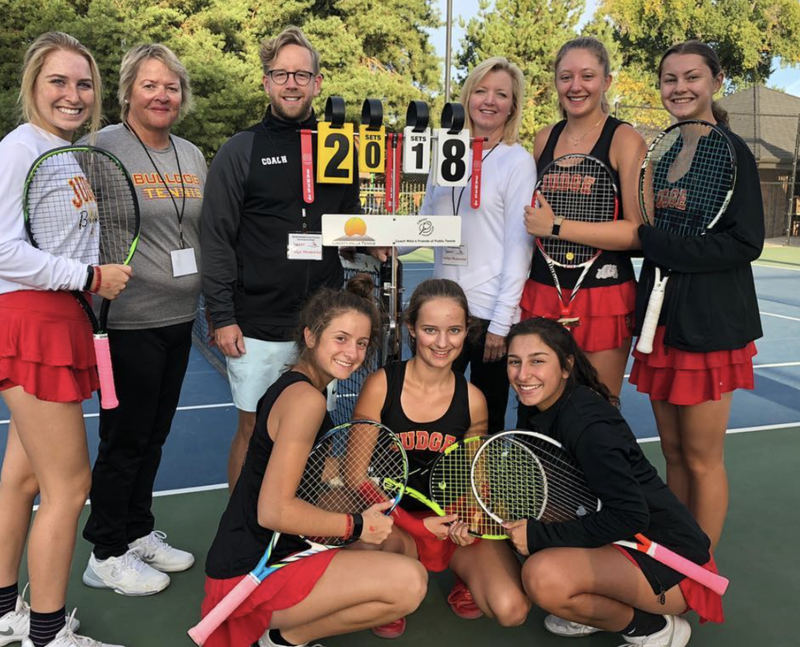 The team’s first singles, Senior Katherine McPhail, second singles, Junior Olivia Anderson, and second doubles, Sophomore Janne Bredehoeft, and Junior Hannah Gose, all brought home a State trophy after a long two-day tournament. They finished in first place as a team with 22 points overall. Four of those points were won by first doubles team, Anna Drossos and Amy Robinson, who played amazing matches all day but sadly lost in the final round. Katherine McPhail, especially, had a very strong season. After four years of playing first singles for the team, she made a personal record this year, going undefeated. She maintained her strong year all the way through state where she eventually won although she faced some formidable opponents, including Morgan’s Sage Earl in the finals. Katherine has accepted a tennis scholarship from the University of New Haven, in Connecticut, where she will major in Criminal Justice. Olivia Anderson, the team’s second singles, was also a force to be reckoned with. She brought home a state trophy after quite a few rough matches. She beat out Waterford’s Noelle Kiefer for the State title with a final match score of 6-3, 7-6. This is her second State title, her first being last year with her former doubles partner Anna Drossos. Janne Bredehoeft, a German exchange student along with her doubles partner, Hannah Gose also won State. Although Gose played tennis when she was young, she focused her time more on volleyball for the past few years. This was her first year on the team. Janne is only going to be at Judge for the fall semester of this year, so the team will miss her dearly. 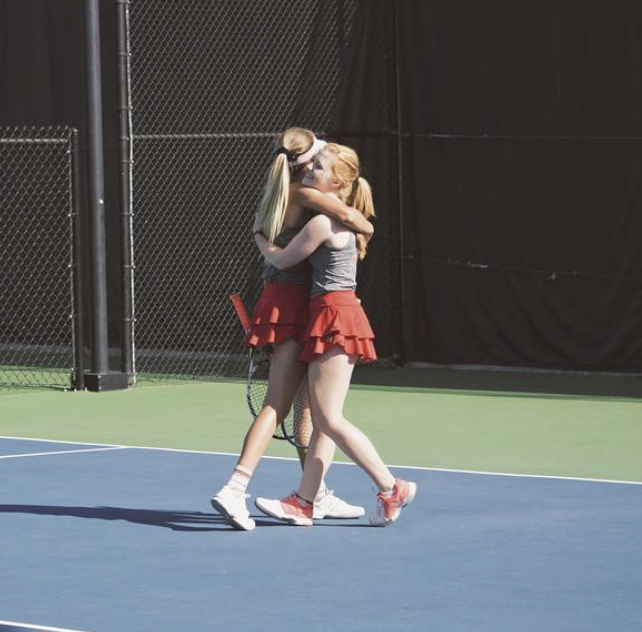 Despite both being relatively new to the team they made amazing strides and combined their skills to make an unstoppable doubles team. Although the team is losing a lot of great talent as the majority of varsity are seniors, they still have high hopes for next year and many years to come since over 25 girls on the team were underclassmen this year.